I remember when I was a little kid and watching with envy how adults are cycling on pavements and on the road. To make matters even worse, my brother liked to drag my face through the mud by cycling around me when we went out to play. So one day jumped on the 2-wheeler while no one was watching and confidently displayed my balancing skills in front of the family. At this time my feet weren’t even long enough to touch the ground while sitting on the bike. I think my love of cycling was partly harnessed because I was banned from it at a young age. Maybe that created a vacuum in me that developed a certain attraction to cycling. And when I finally went on my own, it unleashed the passion that was building inside me. Yet every time I feel a little down and just want to get out of the house, even at night, I instinctively turn to my bike. When I first started to ride at night, I absolutely loved it. There was no sun to hammer me with UV rays, there are few people on pavements, and literally no cars on the roads. With my MP3 player in a pouch filled with rock songs and contemporary ballads, and earplugs in my ear, I was ready to go. There was this time when something tookover me and I cycled all the way to another state and back. At night! I was still a very young adult… or maybe even a very old teenager… and I didn’t realize how lucky I was during all those night cycling sessions until I eventually matured. Yes, that’s what happens to people. We eventually grow up. Without any safety gear like a helmet or elbow pads. Without any bicycle mechanism like headlights and tail lights. I was being a safety hazard to both me, to pedestrians, and to drivers on the road. If you are an enthusiastic leisure cyclist too, you would probably agree that you would not mind that much if you get into an accident due to your own fault. But if from your errors and negligence, other people get hurt, it can be a haunting experience. And you would feel guilty for a very long time. The most critical safety accessories are headlights and tail lights. Youngsters who have yet to get their driving licenses think that the headlights of the car is to allow the driver to see in the dark. And they won’t know the more important role of car lights until they get on the road themselves. The more critical role of lights is to enable others to see you and become aware of your presence in the darkness. No matter how skillful you are on the bike and how accomplished you are with stunts, you are on dangerous grounds when you are riding at night without any lights on your bike. You need to fix up proper headlights and tail lights on your bicycle. No compromise. 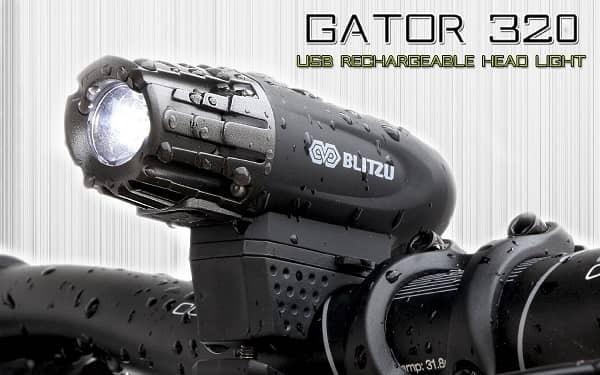 One of those you should consider is the Blitzu Gator 320. The first negative spot of this powerful device is that it’s not fully water proof. Keeping in mind that cycling is very much an outdoor activity unless you are doing track cycling for the Olympics, bicyclers are always at the mercy of the weather. So if you run into a heavy downpour, don’t be surprised to find the lights go out. Anyway… what are you doing out there if the weather is bad? And even if you are already on the road when a sudden cats and dogs level of rain comes down on you, surely you are intelligent enough to find some shelter? And if you are really new to a higher level of casual cycling, don’t get too excited and go overboard with the powerful headlights in your hands. It could be fun to put it on full blast to unleash the device’s power. But that could potentially temporarily blind people on the road. 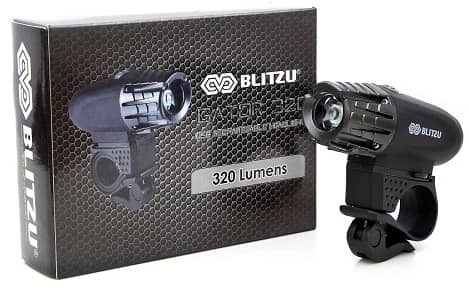 320 lumens is no small matter. Especially at night when our pupils are wider. Another factor to keep in mind is that because this is such a cool looking headlight, it could make itself a target of theft. People steal bicycles and accessories all the time. Just go to anywhere you see an abandoned bike and you will see it stripped to the bone by people. They either take the parts to bike shops where there is always a resale value for parts, or they use them for their own bikes. 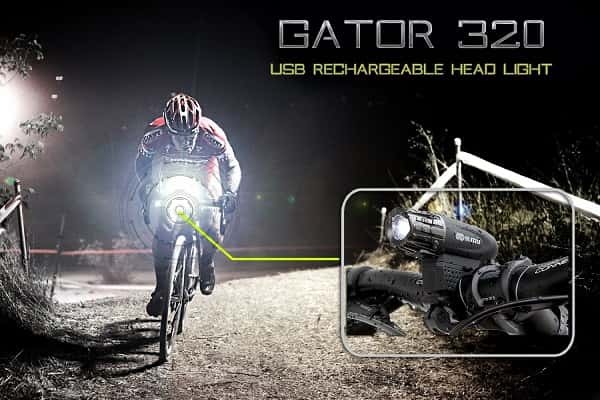 Is Blitzu Gator 320 bicycle headlight worth the money? I wouldn’t say that this product is an essential item for cycling enthusiasts as there are so many headlights available everywhere. You can even use your iPhone as a light source if you want. 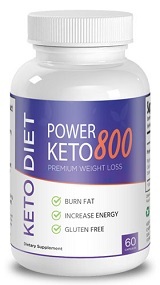 But for the value and power that this product delivers at this price, it is definitely worth the money. To tell you the truth. Even though the advantages listed above are not really world-changing, it might come as a surprise to you that there are few comparable alternatives in the market in terms of value for money. And since we are talking about safety here, this is pretty affordable simply for a better peace of mind. You do have the best stuff under the hood after all. Next Next post: Can Your Sleep Impact Your Fitness?